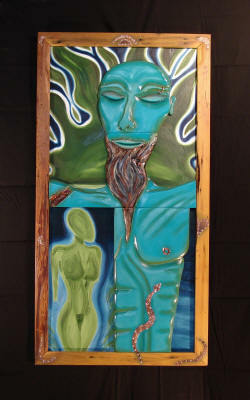 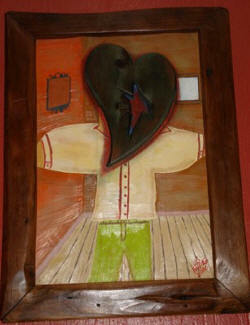 The paintings above are created using oil or acrylic paint on a wooden or metal background. 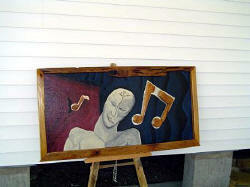 Special dyes and waxes are applied to the salvaged wood. 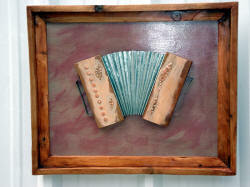 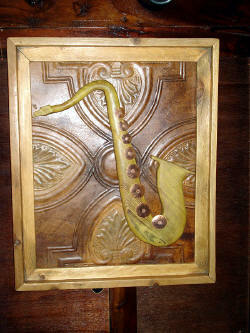 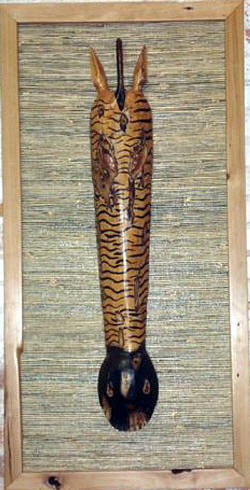 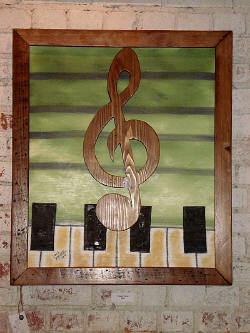 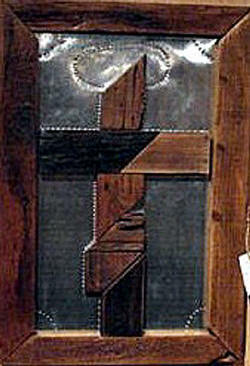 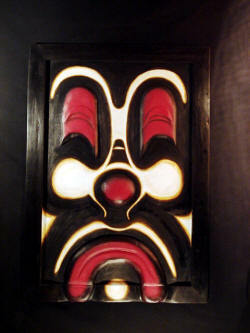 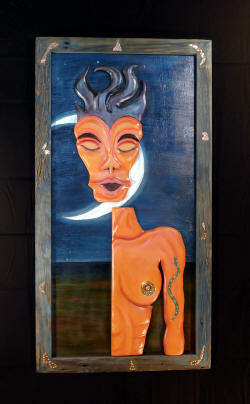 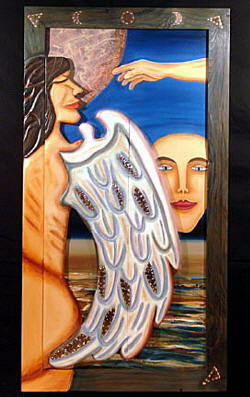 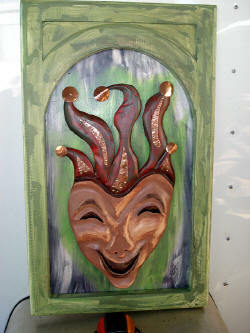 Some of the art has hand carved wood inserts using Pecky Cypress, Cypress, Pine, Long Leaf Pine or other types of wood. 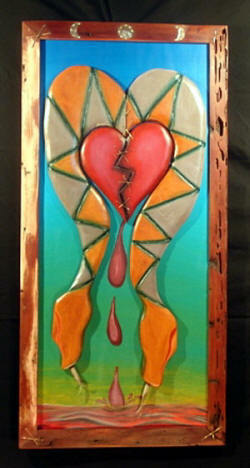 I often use copper or other metals to accent the piece. 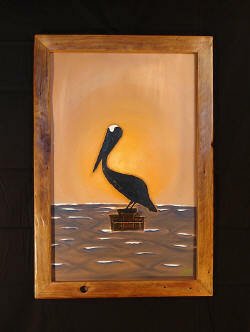 Each frame is then handcrafted and special care is taken to highlight the art which surrounds it. 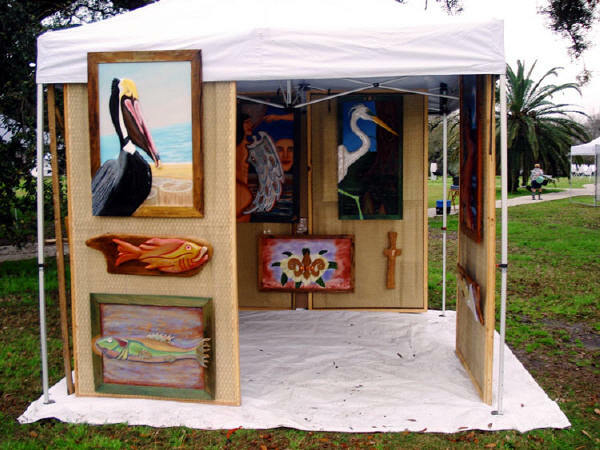 The wood I collect comes from old Louisiana barns, plantations, slave quarters, old homes and even the houses that were damaged by hurricane Katrina. 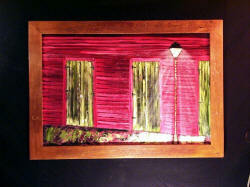 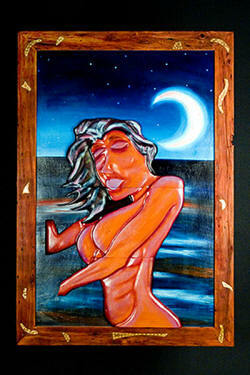 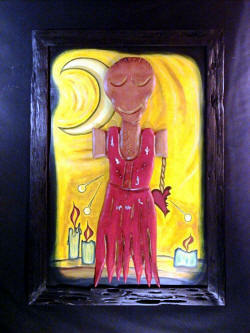 My art can be seen at art shows, galleries, restaurants, festivals and at the New Orleans French Market. 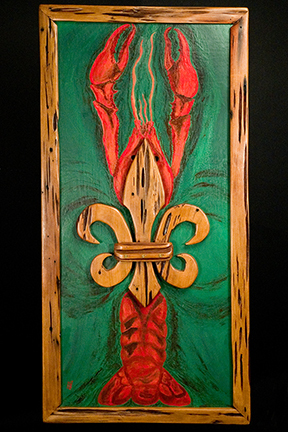 Please call 337 332-2427 or email bbtrading123@gmail.com to get my latest schedule. 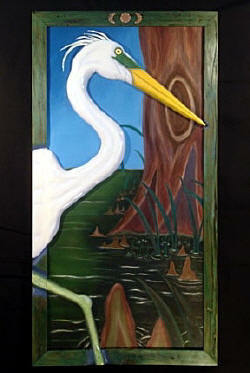 Please visit my Gallery in the Breaux Bridge Trading And Flag Co. at 202 Guilbeau Street, Breaux Bridge, LA 70517.